Over the past few years, bullying has become more of an issue in environments where children socialize and gather, be it in person or online. Unfortunately, the severity of the problem is often underestimated until it is too late, and many tragedies have resulted from bullying. 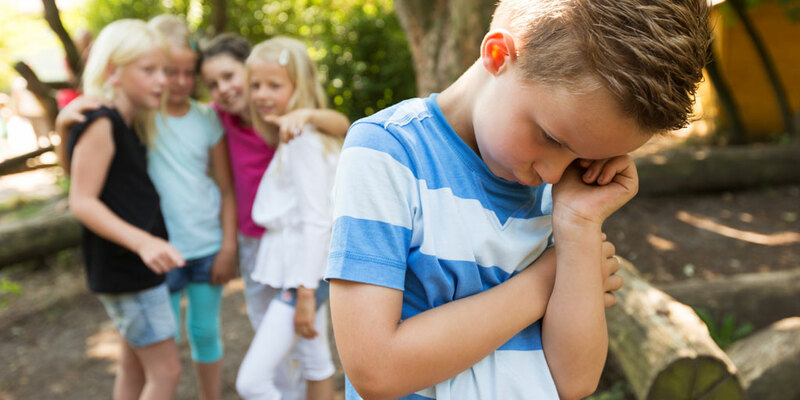 Bullying prevention is essential, and so we at Beacon Insurance Agency encourage our church clients to understand the ways to recognize the signs and how to prevent the situation. This is especially important during church camps, as these camps can often be overlooked as environments in which bullying is likely to occur. Church camp staff and volunteers must understand the true definition of bullying and know how to recognize it. Bringing in experts to assist in training your camp team could be highly beneficial, as this will help ensure that all adults at your camp are not only knowledgeable on the subject, but also able to identify instances of bullying. This will be essential in their ability to effectively handle situations of bullying as well as bullying prevention. One of the most important essentials in bullying prevention is understanding that children need clear rules and expectations to follow. Your church camp should create policies that do not accept any behavior that could lead to bullying. All staff and volunteers must uphold these expectations with consistent reminders that there are no circumstances under which bullying is tolerated. This will help a great deal in ensuring that your church camp environment is safe for everyone and that everyone maintains respect. It is crucial that any instances during which there have been overt acts of bullying observed or even perceived are immediately addressed. Taking action quickly helps prevent the situation from escalating, which could also prevent other situations of bullying from arising in the future. Preventing bullying isn’t simply a matter of addressing children – it’s also essential to involve parents. By including everyone in efforts to prevent or put a stop to bullying, it becomes more of a “community” or “team” goal. Your camp may also see more results in staying bully-free by educating everyone about the issue and informing them of the dangers it poses. Fairness is crucial in handling a situation of bullying. When a case of bullying has been brought to your attention, speak with the children involved on an individual basis. Give each child the chance to be heard and do not presume to know the full situation. To understand what has happened, speak with the children who have committed the act of bullying as well as those being bullied and any bystanders who might have seen the act in progress. Our years of service as an insurance agency focused on meeting the needs of churches, nonprofit organizations and Christian schools have created a strong relationship between the agents at Beacon Insurance and two of the nation’s leading insurance providers – GuideOne Insurance and Church Mutual. These partnerships reinforce our ability to serve our clients’ needs and provide them with access to invaluable safety resources that guide them in the various ways they serve their communities. We know that the challenges they face put their mission at risk, so we work to ensure that they are able to meet their challenges with a light to guide them along. Prevent bullying from endangering the fun at your church camp! Call the experienced agents at Beacon Insurance Agency to learn more about the insurance coverage and safety resources we offer today!